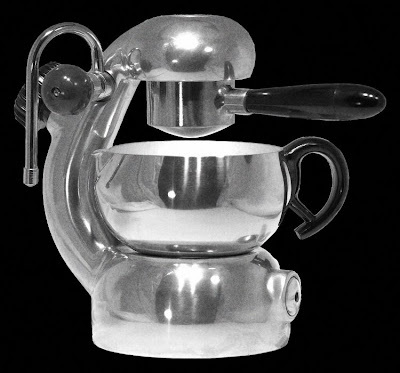 This is a famous "antique" Atomic stovetop expresso maker, designed in the 1940's. Newly available is a reproduction called a La Sorrentina. I like it alot, but it is stupidly expensive.